Buy the package containing all 5 flavors of SAPOR SALIS Line and shipping costs are FREE! 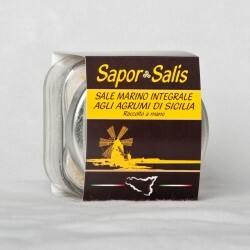 Try the new SAPOR SALIS line with Sicilian Citrus in variants Orange and Lemon. 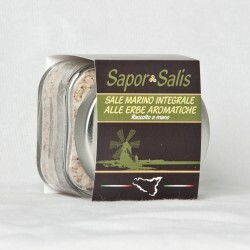 The exaltation of taste reaches its climax with the SAPOR SALIS line, try pairing with Herbs. 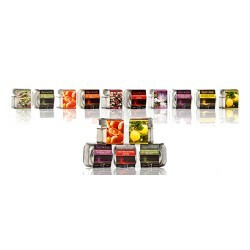 If you want a condiment that will give an extra touch to your dishes try the SAPOR SALIS line in varieties with Pepper. 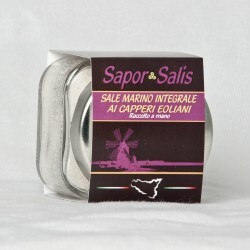 Directly from the Aeolian islands the new pairing with Capers, try the product line SAPOR SALIS. 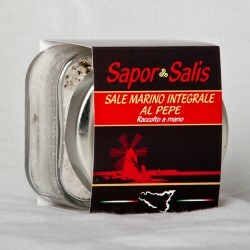 Integral Sea Salt with Sicilian Citrus in variants Orange and Lemon.